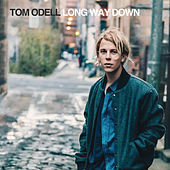 Discovered by none other than Lily Allen, young Tom Odell is a British pop crooner whose debut full-length Long Way Down bursts with passionate love anthems and ballads. Bringing together touches of David Bowie, Coldplay and Mumford & Sons, he's certainly a sucker for dramatic flair. "Hold Me," for instance, is stomping piano rock boasting all the theatrical emotionalism of a Broadway blockbuster. Even those tunes promising intimacy in their introductions ("Another Love," "Sirens," "Supposed to Be") eventually evolve into epic swells hurling themselves against the shoreline known as romance.